Mac Games > Time Management Games > Maggie's Movies: Camera, Action! Maggie has always loved the movies and longs to be a film director. But when she gets her big break as the assistant director on Waves of Love, a new film from Sure Shot Pictures, the producer keeps getting in the way of her dream. 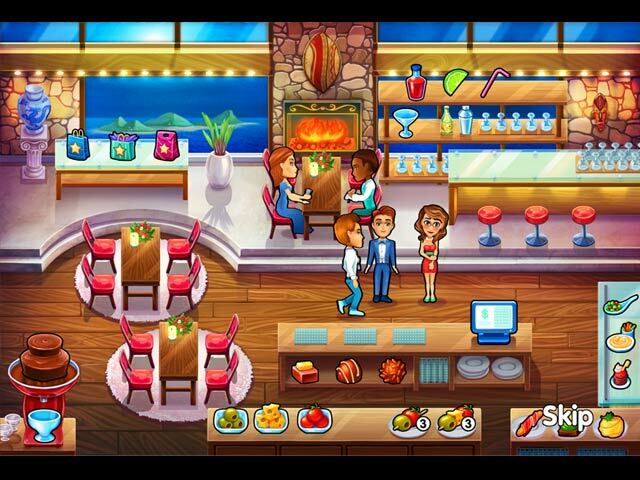 Susan won't pay the hard-working crew for overtime, and they're threatening to strike! Even worse, Susan blames Maggie for the crew's unhappiness, so she must find a way to keep them on the set without compromising her values. And when the studio owner's son arrives on set, Maggie needs to convince him that she can bring everything together on time and budget - or she'll lose her job! Maggie has always been hard-working, honest and humble, but this environment is making it difficult for her to stay true to herself. Can she keep the show running, stay out of the Hollywood drama and follow her dream all the way to the director's chair? Maggie's Movies: Camera, Action! is rated 4.9 out of 5 by 7. 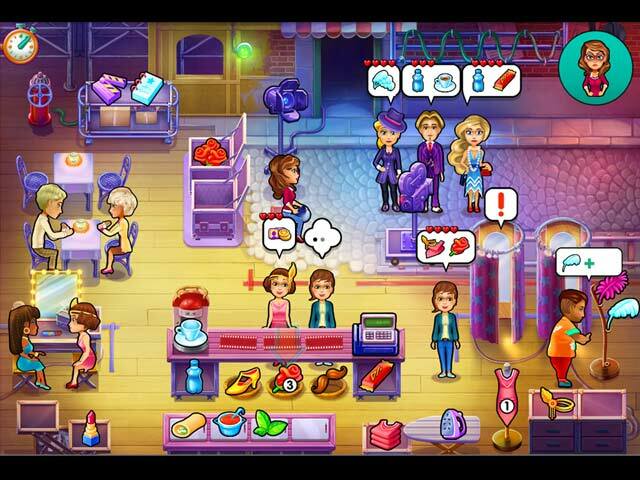 Rated 5 out of 5 by sclevenger18 from Excellent Time Management Game If you like Emily, you will like this game! Great storyline and game play. Love all the games in this series. Hope there is a sequel!! Rated 5 out of 5 by liolyoness1 from Excellent! This is one of the best TM games I've ever played. There's enough of a challenge without being impossible. There's also enough diversity to keep me interested throughout the whole game. Not sure about sound as I play on mute but I will play this game again on a different challenge level. It's well worth the buy! Rated 5 out of 5 by faulkwood from Best TM Game In A Long Time I'm enjoying this one quite a bit. Bought the regular version and thinking about buy the CE as well. One of the better TM games in a long while. Tip: To get 3 stars, check everyone out immediately - don't wait to make long chains of customers! Rated 5 out of 5 by gemom from Great! I really like this addition to the Delicious lot. It's fun, a little challenging to get all 3 stars on all levels...good one! Rated 5 out of 5 by FlamminHot from AN EXCEPTIONAL GAME, WAITING ON THE NEXT ONE!!! I JUST LOVE EVERYTHING ABOUT THE GAME; ESPECIALLY DRESSING THE CHARACTERS AND GETTING THEM READY FOR THE MOVIE SCENES!!! Rated 5 out of 5 by marcie150 from Lots of fun dressing while the Camera's roll You help everyone get dressed just like at the movies. It's fun to see the action, camera, roll:) You help all the side support people too. The graphics are great and sound is good. I've just started the game, so I don't know about leveling later one. 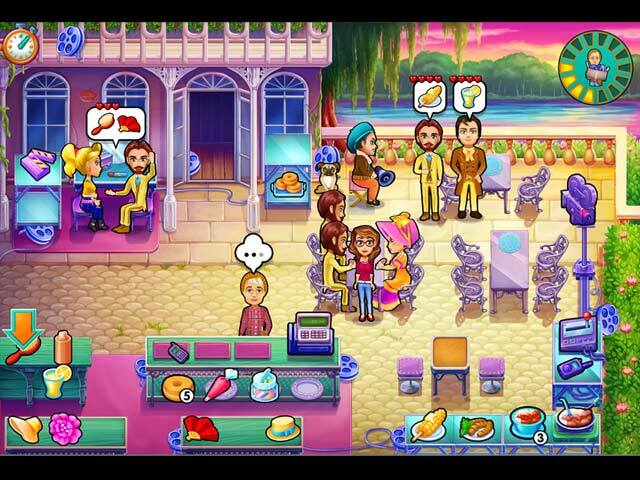 Rated 4 out of 5 by pennmom36 from Not As Epic As Mary Le Chef But Certainly Better At A Standard Edition Price After playing the Collector's Edition of this Time Management game, I was left feeling like I had just played a knock off Delicious game. A really good TM game, but not epic, and really not worthy of the Collector's Edition price. In my opinion, this Standard Edition is way better, the extra's offered within the CE won't effect how this game plays, and you won't miss them. This is a Time Management game that follows the trials and tribulations of Maggie, whose love for the cinema has led her to Louisiana, working as an assistant director. Unfortunately, she reports directly to the producer, Susan, and she's a little out of touch, and not all that likeable. To make matters worse, Clyde the director, is a bit quirky and allows his dog Hitchcock, to run the show. You can play in Beginner, Normal or Expert modes of difficulty, and there are about 60 regular levels. The goals are easy, but fast paced, and just like in the Delicious series, that pesky mouse pops up in each level, catching the mouse will earn you an extra 100 points. As people arrive, you click on the products they want, which is shown above them in a thought bubble. When they are finished you click on the register to complete the sale. Some items require a single click, others require combining a couple of different items, and you will have to clean some areas before another person can access it such as dressing rooms. With the money you earn, you can purchase upgrades to help you, such as more dressing rooms, tables and counter areas, or items that keep the people happy with more patience. Some items need restocked, but most items seem to have a never ending supply, and I don't understand why they need multiple watches or purses to help them act. Challenges are offered as well which will earn you Diamonds which can be used to buy trophies. Each trophy tells you a background story about one of the characters. There are 22 Achievements to earn in the CE version, and 18 Challenge trophies available. In the Collector's Edition you get a few extras that in my opinion just aren't worth the extra price point. They include Achievements, Wallpapers, Concept Art pictures, 18 Challenge levels, and a Bonus Chapter, enjoy! Help Maggie keep the show running, stay out of the Hollywood drama and follow her dream!